← Unidentified Flying Oddball – What Were They Thinking? I love ‘80s action movies. To me, they don’t get any better than Aliens, Die Hard, and RoboCop, among others from that decade. Just about everything starring Arnold Schwarzenegger or Sylvester Stallone during the ‘80s is pure gold. 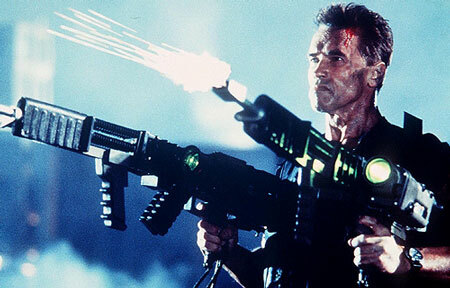 The trend of big, muscular heroes who are impossible to kill continued from 1990 to 1995, with hits like Die Hard 2, Total Recall, Terminator 2: Judgment Day, Under Siege, Cliffhanger, True Lies, Bad Boys, and Die Hard with a Vengeance. But then came 1996, and everything changed. The macho ‘80s action hero died that year, and we’re going to perform an autopsy and figure out what happened. We’ll mostly be talking about the actors who were the victims of this sudden downward spiral. So let’s see why 1996 was the year the ‘80s action hero died. In 1996, we got a healthy dose of action movies, but many of them seemed to be more about recapturing earlier greatness than on doing something new and interesting. 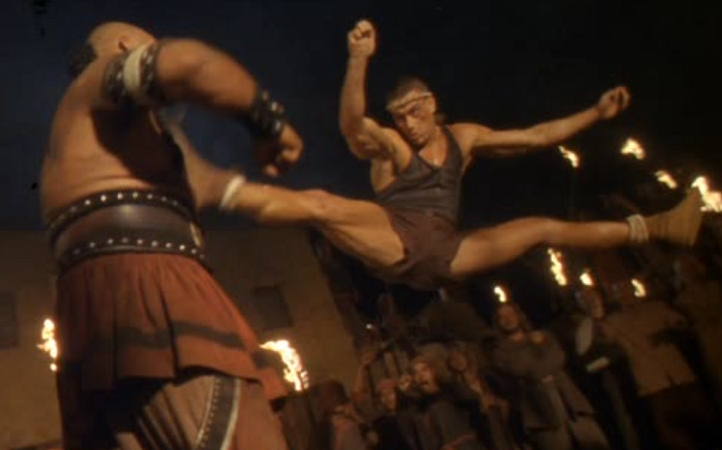 For example, Jean-Claude Van Damme directed and starred in The Quest, which is basically a repeat of the classic 1988 beat-em-up Bloodsport. Van Damme even co-wrote the story with the man who inspired Bloodsport, Frank Dux. Because of this and a string of other box-office failures, Van Damme was soon sentenced to the world of straight-to-video movies for the next decade before staging a moderate comeback. 1996’s Eraser was the last time Arnold Schwarzenegger headlined a major Arnie event movie. Sure, End of Days earned a healthy profit in 1999, but Eraser was Arnie’s last true summer tentpole movie. Try to fathom that for a minute. Twenty years ago, summer tentpoles could be big shoot-em-ups with nothing more than a single actor’s name being enough to draw huge crowds. Eraser wasn’t based on a comic book or any other existing property or series. It was purely a Schwarzenegger vehicle, and it became one of the 10 highest-grossing movies of that year. Now that’s star power. Nothing was ever the same for Arnie. He can be in as many Terminator sequels as he wants; his old glory is never coming back. Sylvester Stallone’s career arguably peaked in 1985 with the release of the wildly popular sequels Rambo: First Blood Part II and Rocky IV. But he managed to have a few successes in the ‘90s, such as Cliffhanger, Demolition Man, and The Specialist. But then he starred in 1996’s Daylight, which is basically an homage to the 1972 disaster movie The Poseidon Adventure. I watched Daylight years ago, and I remember it being tedious and rarely ever exciting. It underperformed in the U.S., but made quite a bit of money overseas. That was the last hit Stallone would be the main star in for the next decade. Cop Land, D-Tox, Get Carter, Driven, and Avenging Angelo all did progressively worse at the box office until Stallone was forced to return to his roots and star in perfectly decent sequels to Rocky and First Blood. All of the above action stars saw a turning point in their careers in 1996, but one actor had a film that epitomized the shift in action blockbusters away from what they used to be. That man is Kurt Russell, and the film is Escape from L.A. 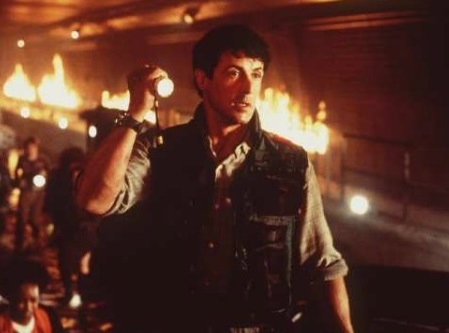 Escape from L.A. is a carbon copy of 1981’s excellent Escape from New York. In the first film, Snake Plissken was tasked with sneaking into the Big Apple via airplane to retrieve the U.S. president and some valuable information he has with him. In the sequel, Plissken is forced to sneak into Los Angeles via submarine to retrieve some valuable information being held by the president’s daughter. The plots are interchangeable, with the only difference that the sequel is not executed very well at all compared to the original. That is, except for the final scene. I have to admit this movie has an incredible final scene that is even more interesting if you think about the lines as though they’re talking about ‘80s action heroes. But the pièce de résistance has got to be Executive Decision. Up till 1996, action heroes had been mostly unkillable. Sure, the heroes in the first two Terminator films died to protect the people they love, and Ripley self-sacrificed at the end of Alien3, but at least those deaths had the dignity of coming at the climax. We had never really seen an ‘80s action hero get killed in a perfunctory manner. Which is why it was so shocking when we saw what happened to Steven Seagal’s character at the 40-minute mark of the two-hour Executive Decision. Seagal had made a name for himself as sort of a hybrid between Arnold Schwarzenegger and Jean-Claude Van Damme. He was built like a tank while also being nimble enough to take down dozens of opponents with his martial-arts skills. 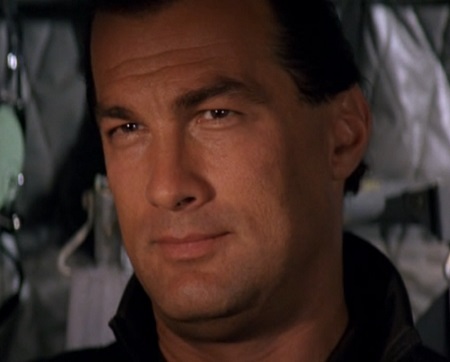 In Executive Decision, while doing a daring midair transfer of elite marines onto a passenger jet that has been hijacked by terrorists, Seagal’s character runs into severe trouble. All of his comrades and a couple of nerdy technicians make it aboard the jet, but he gets stuck in a passageway that is seconds away from disintegrating, which will cause the jet to decompress and kill everyone on board. Seagal’s only option is to heroically close the hatch just before the passageway breaks apart, tossing him away like a ragdoll and killing him instantly. Can you imagine that happening to John Matrix in Commando or Dutch in Predator or James Bond in any of his movies? This kind of death was unthinkable. Suddenly, the man who couldn’t be killed by a million bullets became all too human, showing that he can be killed just like anyone else. If you wanted to pinpoint the exact moment that the ‘80s action hero died, this is it! With Seagal dead, it’s now up to the nerdy technicians to improvise a new plan to stop the terrorists. They have to become the heroes that Seagal was already a natural at playing. The rest of the film never quite lives up to the first 40 minutes because there’s such a gaping hole left from Seagal’s absence. But this was the pattern that other films that year followed. Twister and Independence Day were huge blockbusters that heralded the resurgence of the disaster movie after its heyday in the ‘70s. Those two films had the novelty of turning computer nerds into action heroes, carrying the torch passed in Executive Decision to its logical conclusion. There are always exceptions to the rule. 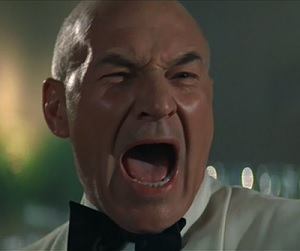 1996 also saw the release of a couple of films that turned dramatic actors into action stars: Star Trek: First Contact (Patrick Stewart) and The Rock (Nicolas Cage). Stewart went on to help start the comic-book era with his indelible role as Professor Charles Xavier in the X-Men films while Cage continued to build his reputation as an action hero for several more years with hits like Con Air, Face/Off, Gone in Sixty Seconds, and National Treasure. I should also mention that Tom Cruise is the one shining exception to the rule. He has managed to survive for three decades as an action star by giving people what they want while also somehow reinventing himself every few years. He established the surprisingly versatile Mission: Impossible film series in 1996, and it’s still going strong almost 20 years later. Of course, the ‘80s action movie didn’t completely die out after 1996. It hobbled along for a few more years with 1997’s Air Force One, Con Air, Face/Off, and The Fifth Element being particular standouts. But there were also a lot of mediocre or just plain bad movies: Conspiracy Theory, Kull the Conqueror, The Peacemaker, Starship Troopers, and Alien: Resurrection, the two final ones essentially being subpar imitations of Aliens. Things got worse in 1998 with the horrible Lethal Weapon 4, Small Soldiers, The Avengers (with Ralph Fiennes and Uma Thurman, not the Marvel one), and Soldier (with an extremely wooden performance by Kurt Russell). The only real standouts were The Mask of Zorro and Rush Hour. And in 1999, computer nerds completely took over in The Matrix, which changed the face of action movies for the next decade and beyond. There have been plenty of attempts to bring the macho ‘80s action hero back, with indulgent fare like the Expendables trilogy, a fourth Indiana Jones film, and a couple of PG-13 Die Hard sequels. While those had enough nostalgia to turn a profit, they didn’t succeed at rejuvenating this long dormant idea of a one-man army. Comic-book movies have sort of filled that void, but they mostly avoid the hard R rating that characterized the epic shoot-em-ups of the ‘80s and early ‘90s. I don’t know if we’ll ever see a resurgence of ultraviolent-yet-humorous blockbuster action films like we did more than two decades ago. Audience tastes change over time and those kinds of films probably just aren’t as palatable enough to generate the huge box-office numbers required to sustain ever-increasing movie budgets. So while I mourn their loss, at least they can rest in peace knowing that they refused to go down without a fight. This entry was posted in Random Stuff and tagged 1980s, action movies, arnold schwarzenegger, daylight, eraser, escape from la, executive decision, films, jean-claude van damme, kurt russell, movie review, movies, steven seagal, sylvester stallone, the quest. Bookmark the permalink. I agree to 90% with you. For me, Executive Decision is better off for killing Seagal. It lags at the end, after the terrorists have been killed, but I like that the unkillable was killed and that the rest of the team have to manage without the hero. Another film that did the same thing, but didn’t manage to make it good, was The Other Guys. Johnny English has a similar premise, as well. I can definitely appreciate when a film takes an unusual tack and makes it work. Executive Decision is by no means a bad movie; it’s just fascinating to look at it within the wider context of what was happening to action heroes at the time. It came out right at the start of their decline into oblivion, so it’s more meaningful than The Other Guys or other films of that nature. You forgot about Chuck Norris. He also has a string of hit 80’s shoot-em-ups and he attempted to keep them alive through his TV show. I think most audiences tastes have changed because the more cartoon-ish like violence in superhero movies make it easier for audiences to disconnect from the consequences of what real violence looks like today. Also, with the creation of PG-13, studios were able to make an action movie that teens could go see and they had to make sure that the violence was not graphic like old R rated action films of old. I do miss the old fashion 80’s hero. I did think of including Chuck Norris. Unfortunately, Top Dog came out in 1995, so his nadir was one year earlier than most. Leave it to Chuck Norris to play by his own rules. Outstanding post! You must be from my generation! I grew up on 80’s action movies and couldn’t get enough of them. Your article is spot on. Too bad Hollywood has replaced them with superhero movies, which will one day fade out, too. Although the action heroes of the 80’s and 90’s have faded out in popularity, they have at least influenced my own writing, and when I write action scenes, I am transported back to that time period. Thanks for the great post! Thank you so much. Yeah, I was introduced to a violent world of movies in the ’80s and ’90s that was also a ton of fun. Blockbusters aren’t allowed to be too violent anymore. Michael Bay replaced Paul Verhoeven and even the great James Cameron got tamed over the years. It seems like there’s no turning back. By the way, have you seen the 30-minute parody of over-the-top ’80s action movies, Kung Fury? Absolutely brilliant stuff. I haven’t seen it yet, but I’ll definitely check it out. Thanks for the link. Yeah, sadly, there’s no turning back to that genre, but hopefully that’s a good thing as the next generation improves upon it. Great post again. I’m sorry I was so harsh on that movie. That is a cool fact about it. Kurt Russell definitely gave his all to that role. Sadly, Starship Troopers likes to think it’s much more clever than it really is. I think fans of it have created a lot of reasons for it to be great, but the film simply doesn’t live up to any kind of hype. Maybe the performances were intentionally campy and lame (except Michael Ironside’s) and maybe the story was written in a way to satirically make the space soldiers come across as shallow and obtuse. But this kind of satire is a far cry from Paul Verhoeven’s superior RoboCop. If I want clever satire of the military, I’ll stick with James Cameron’s Aliens. Small Soldiers and Soldier are both excellent. Soldier is notable for an amazing performance from Russell where he says more with eyes than most actors can say with their mouths. His character was trained to not have feelings or to even be human. Yet, he’s overcoming that. To call his performance “woooden” is to reveal you didn’t even watch the movie or know what it’s about. To each his own. I simply prefer main characters who change over the course of a film. I understand what the film was going for in presenting a character incapable of change, but it falls into the same trap as Blade Runner and wastes the talent of its lead actor. For an example of a movie that has a great character who rarely talks and mostly emotes through his eyes, I can think of none better than Mad Max: Fury Road. A much better throwback to good old fashioned ’80s action films. The action hero slowly died out. I noticed in the early 90s a few R-rated action movies were responding to growing sentiment about the relevance that action heroes have in modern pop culture. Robocop 2 (1990), Terminator 2 (1991) and Demolition Man (1993) asked their main characters to not be as violent as their 80s selves (two of those characters rejected the pleas). The appropriately titled Last Action Hero acknowledged in a self-aware kind of way that violent 80s action was passe and didn’t have the edge that it used to. Van Damme decided to target young audiences in the so-bad-it’s-excellent action comedy Street Fighter in 1994. 1994’s Speed ushered in the more realistically-proportioned and emotionally available action star, as opposed to the bodybuilding tanks of the 80s. Goldeneye in 1995 continued that trend with a noticeably svelte choice to “modernize” the Bond franchise. Cameron made history with a romantic chick-flick, framed around an action blockbuster. Meanwhile, the Arnold and Stallone and Van Damme installments received less box office attention, with the exception for Stallone portraying a bloated and broken down sheriff in the excellent Cop Land. Even Lethal Weapon 4 forced Riggs to admit that he’s too old for this [bleep]. Finally, once audiences turned their attention to Jackie Chan and sleek Hong Kong action, Wuxia dramas like Crouching Tiger Hidden Dragon, anime-inspired action like The Matrix, and rise of the Marvel superhero, the brute force, ask questions later, above the law, R-rated action hero became the old guy in the club.